The WTS Houston Board of Directors created the Texas Trailblazer Award to honor women who have created a path for generations of Texas women to follow. Chief Bumpers has been with the METRO Police Department for over 30 years. She was the first female in every rank and has served in a supervisory capacity for over 25 years. She was sworn in as Chief of Police on November 13, 2014. 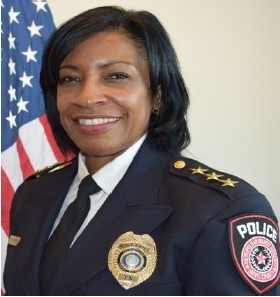 We congratulate Chief Bumpers on her successes and wish her many more.